Pool barriers can serve as a security measure for preventing children from unsupervised access into the pool. These features may be required for adherence to the law or to an insurance company. While there is currently no federal law on pool fences, local and state authorities have regulations in place for individuals to consider when setting up a DIY pool fence. Homeowners should ensure that safety regulations are followed to reduce the risk of an accident and to maintain compliance with authorities. A pool fence should be able to prevent children from getting over, under, or through it and into the pool. Regulations and specifications are in place to ensure they cannot access the pool without adequate supervision. Most states require that pool fences have a minimum height of four feet. However, the recommended and ideal height is five feet. Pool fences that surround the pool completely are preferred over those where the house serves as the fourth side. The fence should be structured in a way that is impossible for children to climb. It should not have handholds, footholds, indentations, or other types of protrusions. In addition, the barrier should be located where permanent structures, equipment, and other objects cannot be used to get over. The vertical bars for pool fencing should not be more than four inches wide. The size specification is based on children’s estimated head breadth and chest depth. Vertical bars with limited spacing prevent children from getting through or getting stuck in the opening. The same regulation applies for the space below the pool fence. Its maximum clearance should be less than four inches. This serves as an adequate measure to prevent and deter children from even attempting to get through the opening. 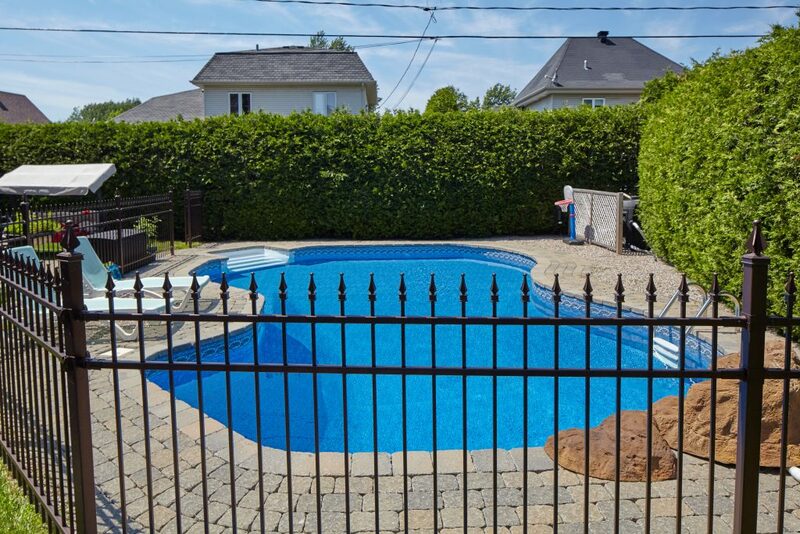 All states require pool fences to open outward and away from the pool area. Gates should be self-closing and self-latching. Pool fences can be made with materials like wood, plastic, vinyl, and aluminum. These materials should not be susceptible to damage and be able to promote the fence’s durability and long-lasting nature. 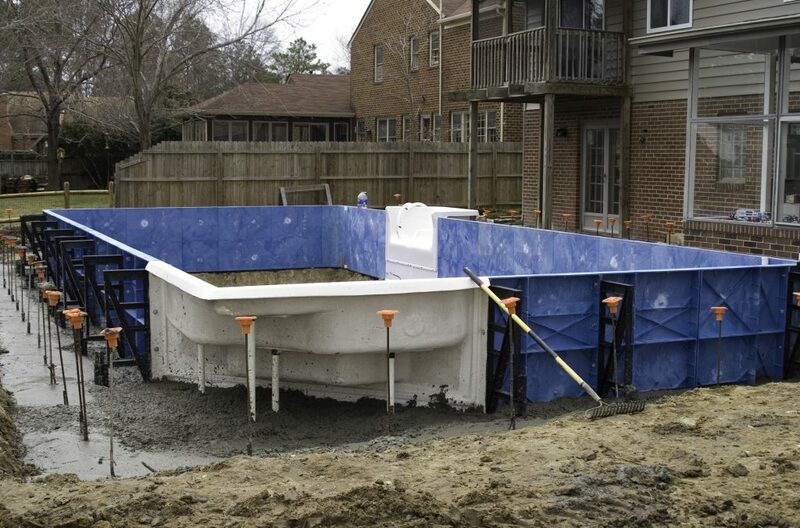 Homeowners can combine different materials for pool fencing to reduce costs. In states like New York and California, other layers of pool protection are required in addition to fencing. These security measures include rigid pool covers, rescue equipment, and an underwater motion swimming pool alarm. Well-maintained pool covers can serve as an extra layer of protection to prevent children from getting into the pool unsupervised and protect them from any accidents. They are especially necessary for indoor pools or for outdoor pools where the house serves as one side of the pool barrier. In these cases, a child has easier access into a pool because pool fences do not serve as a barrier. When it comes to pool barriers and fences, regulations of some states are stricter than those of others. Pools should be set up in accordance with the required security features and measures to prevent later sanctions and to promote safety for children.